The design world is abuzz with reviews leaking out of the new Architectural Digest. 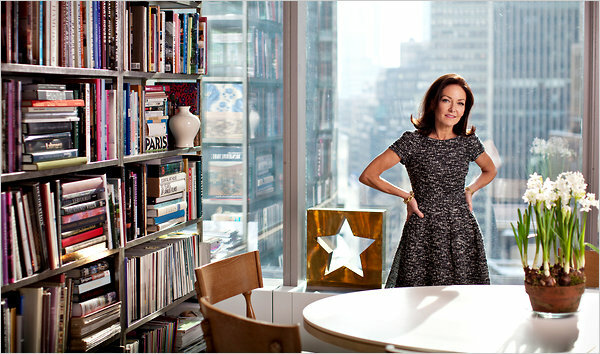 The NY Times ran an informative article this past week on Margaret Russell's (pictured above) debut issue and revamping of the prestigious magazine. I am also seeing posts popping up from various other bloggers who have seen the issue and/or have been invited to the opening parties. See Design Therapy's post. Even last night, I was having dinner with some design friends and we were discussing whether or not anyone had seen an actual issue yet; none of us have. Now my curiosity is stoked. If the snow holds up today, I may go in search of the new mysterious issue. Have no doubt, I will report on my findings.